When the aliens first attacked, we bravely met them head-on. Soon our pilots were overwhelmed by sheer numbers. They got separated and taken down one by one. Still we kept sending the best we had. What else could we do? 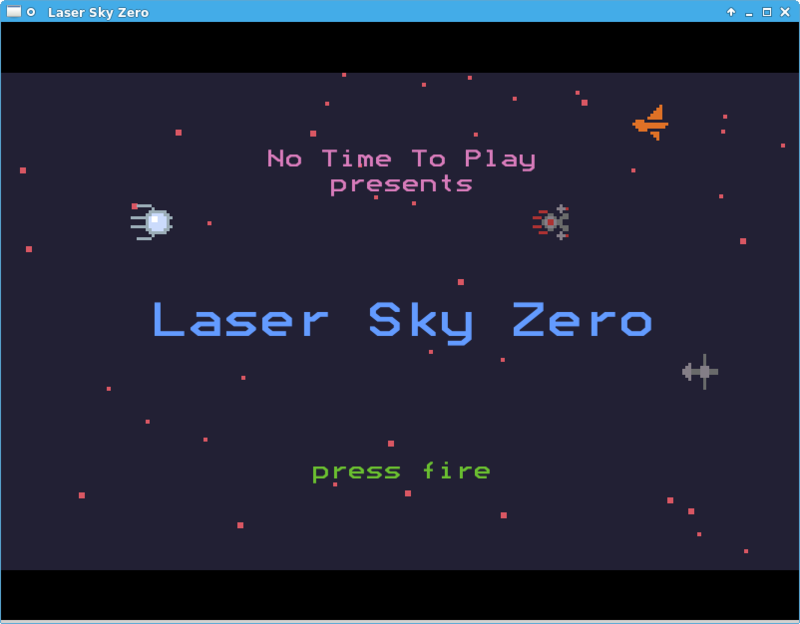 Laser Sky Zero is a retro shoot'em up in 8-bit style, with endless gameplay: blast wave after wave of alien invaders in your lone spaceship, for as long as you can last. 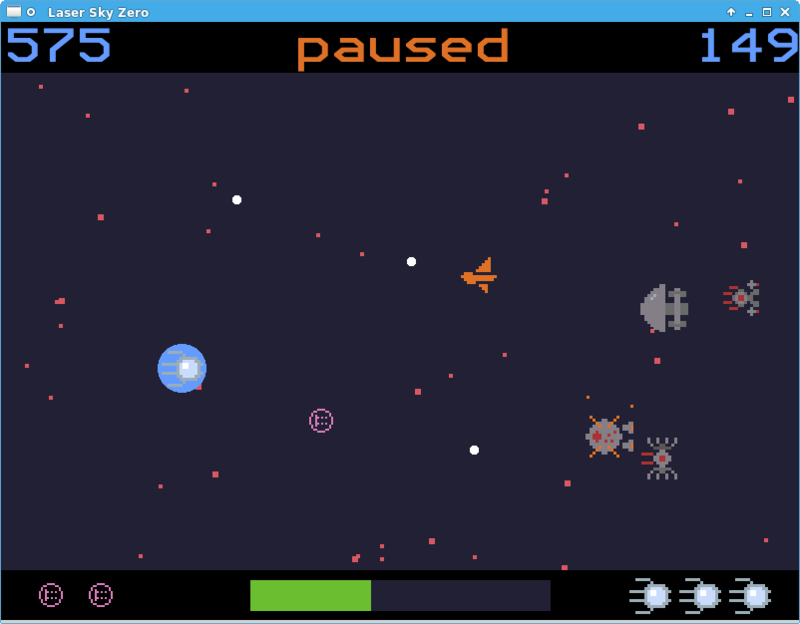 There will be powerups to help you along the way: more life, better guns, protective shields. Just watch your energy levels, and don't let yourself be cornered. Beware, some enemies can be hard to take down! Windows XP or a Linux from the 2010s. Left Alt key to shoot backward. button 2 to fire backward. Esc to leave the game. 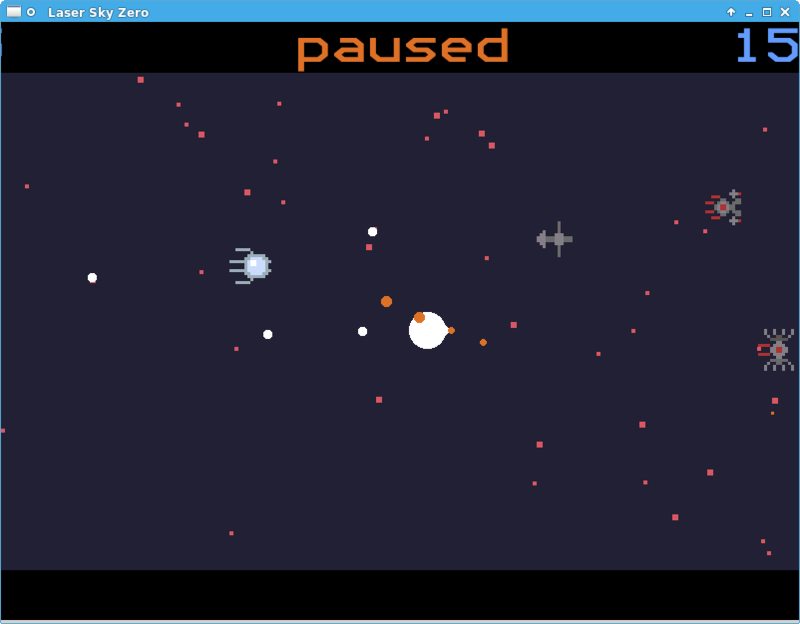 Game made with sdlBasic. The runtime itself is free software under the Lesser General Public License (LGPL). All assets are under a Creative Commons Zero license. Font: Bestead Extended, by Ben Harris, courtesy of the Open Font Library. Audio from the Superpowers Asset Pack, courtesy of Open Game Art. Special thanks to the sdlBasic community for feedback and encouragement.